By Melissa Lennig on November 15, 2016 Leave a Comment. This content contains affiliate links. As an Amazon Associate I earn from qualifying purchases. Thank you to our friends at KORXX for sponsoring today’s nature play. 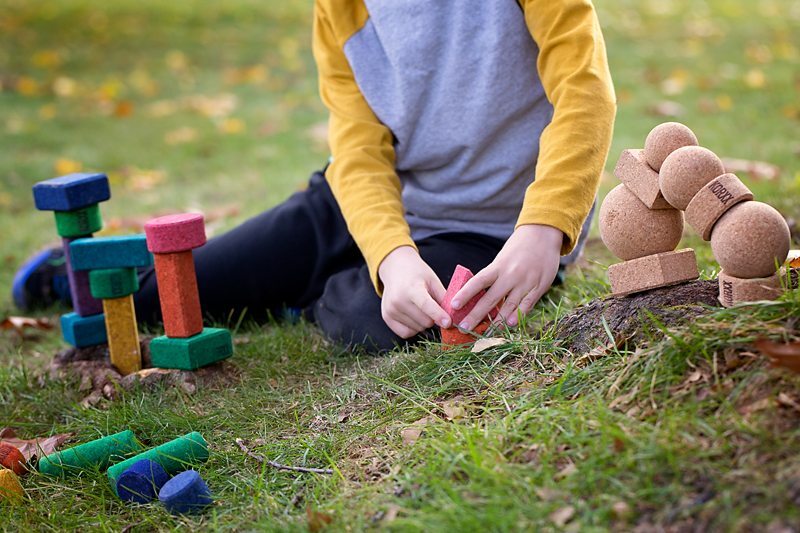 KORXX is a natural and sustainable toy for families and classrooms who value quality eco-friendly and open-ended, creative toys. Just look at this picture for a moment. Beautiful, vibrant colors that seamlessly compliment nature. Those, my friends, are KORXX cork blocks and they are my new favorite. 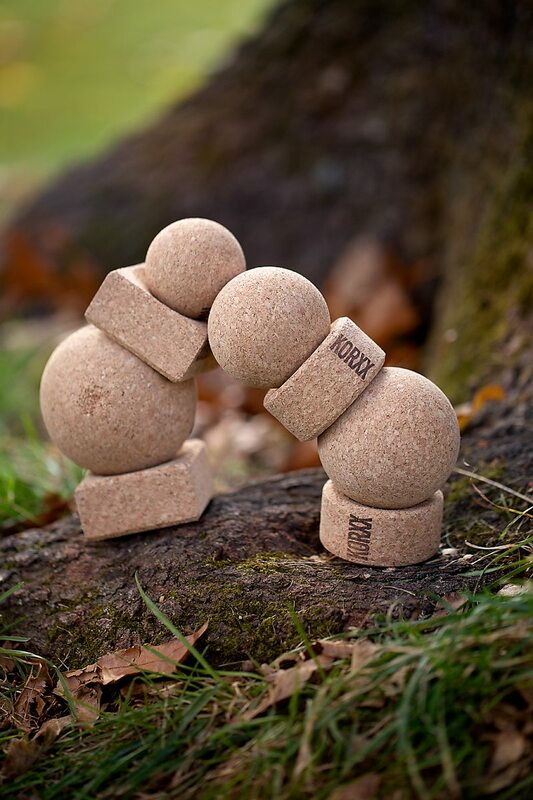 KORXX are sustainable building blocks made from granulated natural cork that is harvested without harming trees. They are eco-friendly, sustainable, natural, and quiet. Caught your attention with that last word, didn’t I? KORXX blocks are quiet! This means when your child’s tower crashes to the floor, you won’t hear a thing. No worries about waking up baby, or triggering your sensory kid, or hard blocks toppling on to your little one’s head, or crashing blocks denting the hardwood floors. KORXX bricks are soft and silent, stable and safe, light and lovely. They are the perfect open-ended toy for kids of all ages. 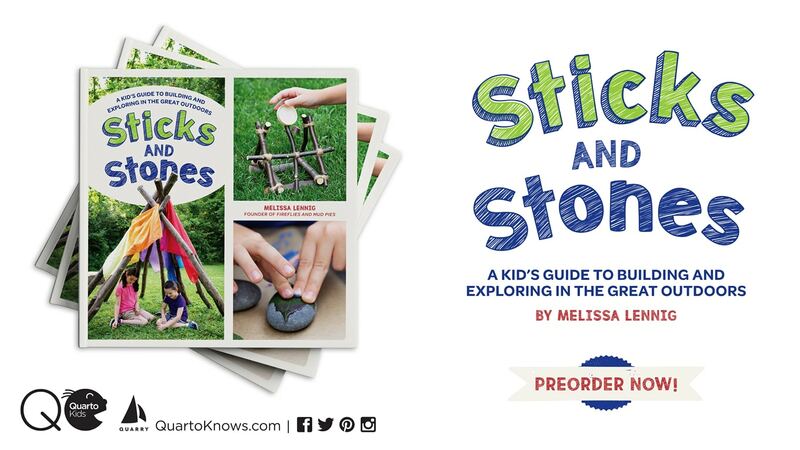 Outside, they are wonderfully suited for nature play. 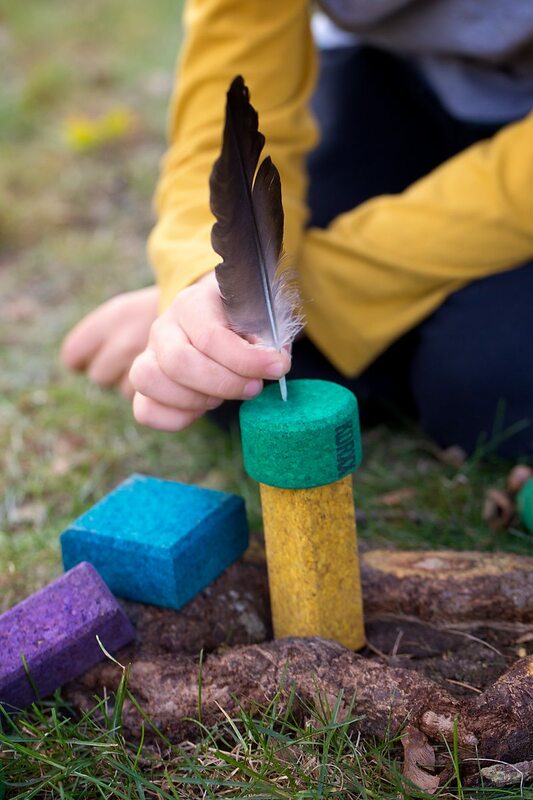 Kids will enjoy pairing the blocks with acorns, pinecones, feathers, twigs, and stones. 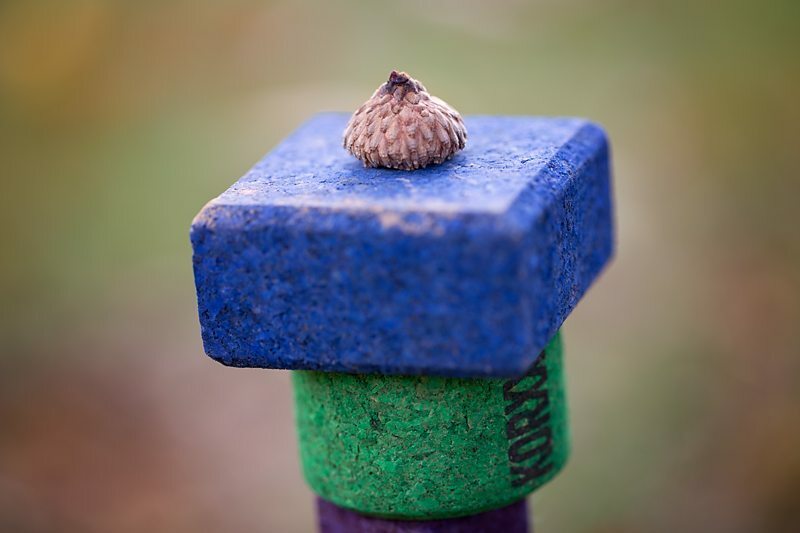 My children love to use them to create woodland fairy castles at the base of trees. 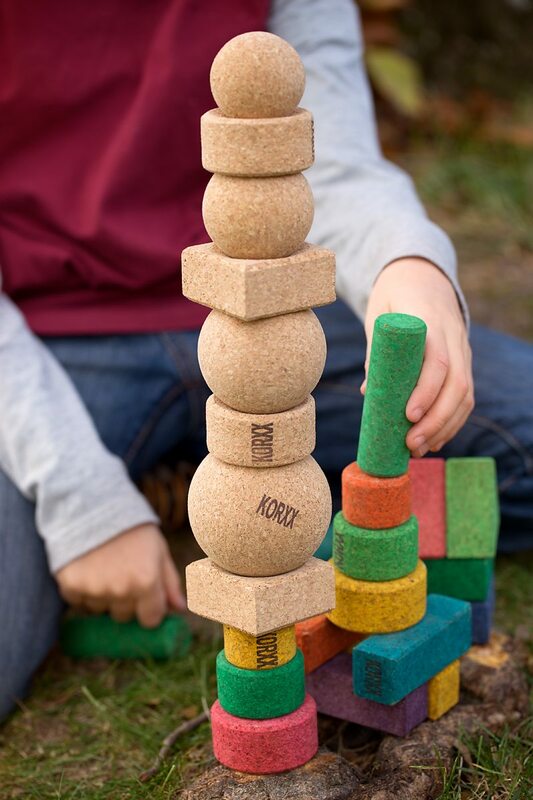 Since cork provides excellent stability without slippage, kids can stack the blocks in many creative ways! 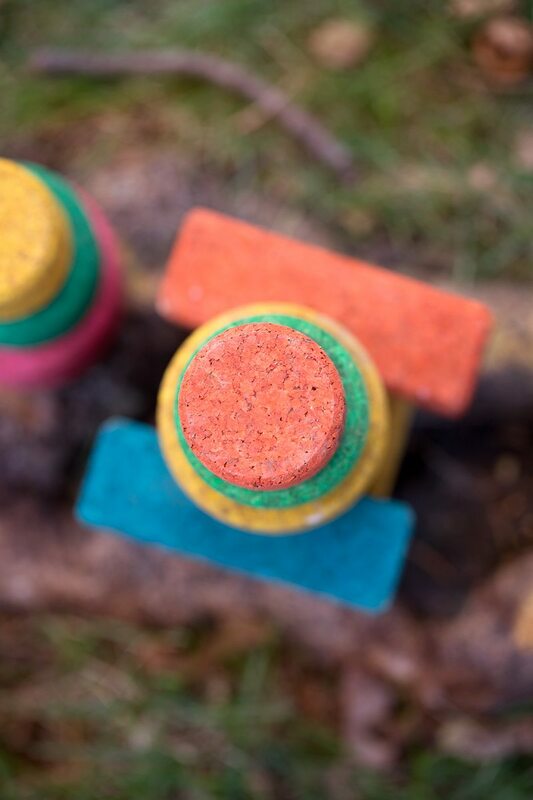 KORXX’s high quality cork is free of harmful contaminants (no phthalates, dioxins, and formaldehyde), making it a safe toy for nurseries, playrooms, classrooms, and the backyard. 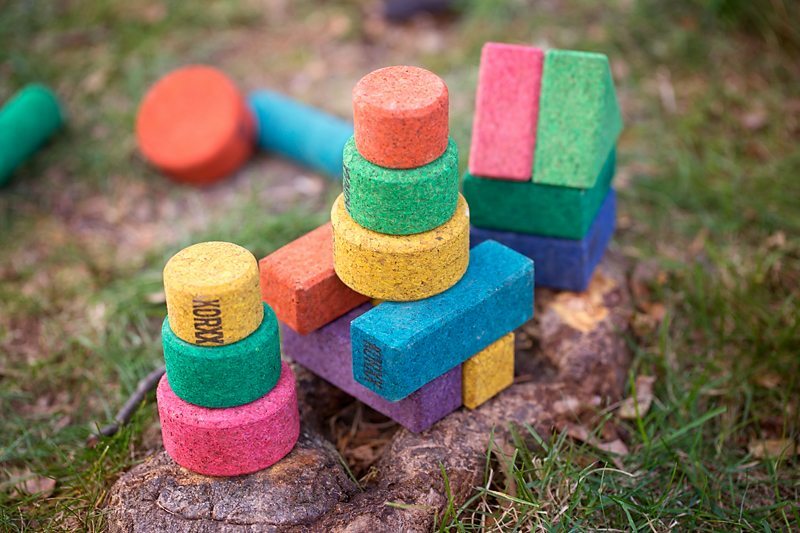 Unlike typical cork used for other products, KORXX blocks are safe for even the smallest of children. These minimalist blocks are adored by my 6 and 8-year-old builders and their friends. It’s so refreshing to see kids enjoying a simple, timeless toy! Click the links below to see how other kids are playing with KORXX. 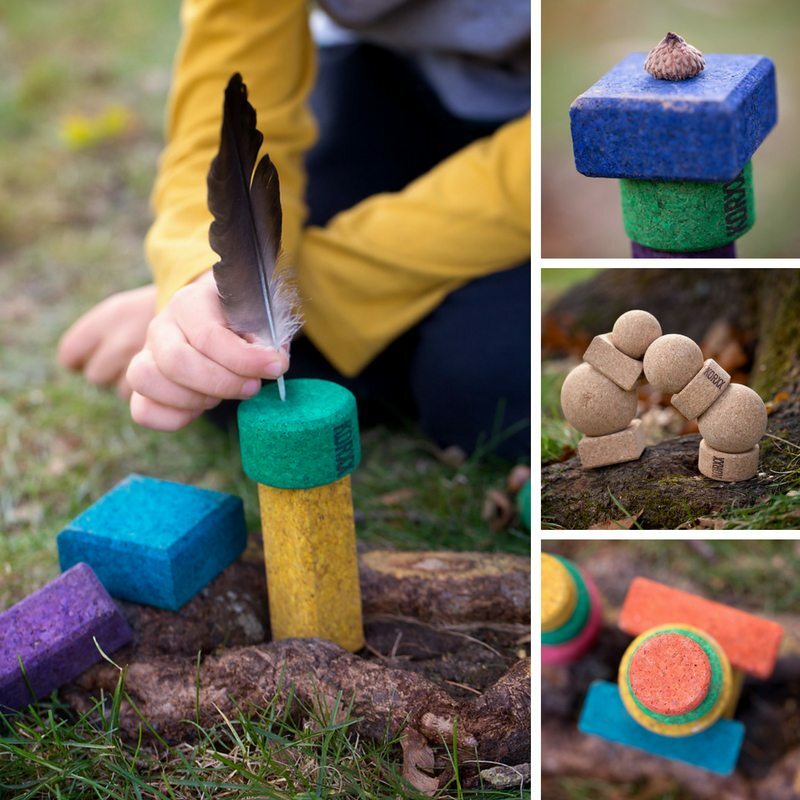 Order KORXX cork blocks from Oh-Toys just in time for the holidays!